New York House maestro JACQUES RENAULT is a old friend of the Gomma boys. While having a few bottles of fine red wine at a party in Rome recently with Gomma's Mr. Munk - they had this idea to make a special mix collage of old and new Gomma tracks. 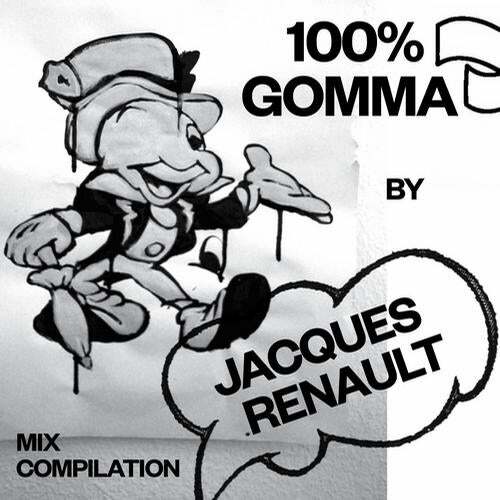 Jacques Renault took 15 tracks, edited them and created this 80 minutes non stop Gomma voyage. There is the first ever Gomma single from Leroy Hanghofer (aka Munk & Telonius), the legendary Chicken Lips remix of Headman from 2003, mixed with upcoming stuff from Daniel Avery, Justin Robertson aka The Deadstock 33s or Mecury's new single 'Man'" - that you currently can hear in the DJ sets of all kinds of DJs - from Disclosure to Axel Boman or TEED. It's house, it's balearic. It's even Techno. Going up and down. Deep and funky. It's slow, percussive and contains some very unexpected turns.